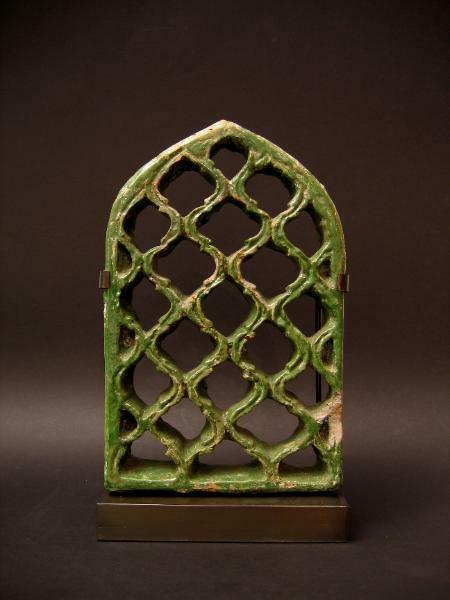 mihrab (prayer niche) is reminiscent of the sandstone jali screens employed in northern India to aid with air flow in a hot, humid climate. Probably from a mosque or some other public building. It is covered with an opaque, olive green glaze. The tile includes a custom-made stand.